Last month, 150 world leaders gathered at the United Nations Sustainable Development Summit to adopt a set of goals and targets called the Sustainable Development Goals (SDGs). 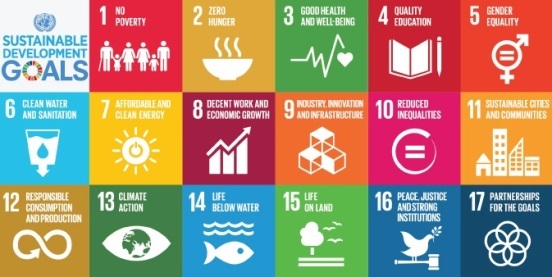 Consisting of 17 different goals with indicators for measuring the success of each, the SDGs provide a comprehensive framework for collective action by government, the private sector, and civil society to address social and environmental issues that inhibit economic development and shared prosperity. The SDGs provide a crucial opportunity to tackle some of the most pressing social and environmental issues globally. Within that framework, the Pacific Institute continues to research and provide solutions focused on the human right to water, sustainable water management, and ecosystem health. For example, SDG6 is dedicated exclusively to ensuring availability and sustainable management of water and sanitation for all. The Pacific Institute, as co-secretariat of the UN Global Compact’s CEO Water Mandate, will play a pivotal role in the implementation of this goal through collective action. As part of this endeavor, the Mandate, in collaboration with WaterAid and WWF, has developed a paper that presents opportunities for the business and corporate sectors to make positive contributions toward achieving the goal. Read more about the SDGs and the opportunities for corporate water stewardship here. The Salton Sea is fast approaching a tipping point. Declining inflows and increasing salinity have made the Salton Sea an environmental and public health hazard. A report from the Pacific Institute last fall found that if nothing is done to protect and preserve what is the largest lake in California, it could cost as much as $70 billion over the next 30 years. Proposed plans to import fresh water to the Salton Sea and export even larger amounts of salt water to lower its salinity have been proposed in various forms. These projects involve building pipelines that run from the Salton Sea to either the Pacific Ocean or the Gulf of Mexico. Logistical, financial, and energy challenges make these projects impractical, especially in respect to time. A project of this scale would take more than 30 years to reach its goal of raising sea levels and lowering its salinity. Rapid changes the Salton Sea will undergo in the next few years means fast action is critical. However, there are practical and effective opportunities generating ‘new hope for the Salton Sea‘- some of which are already underway. For example, an initiative by the Imperial Irrigation District calls for habitat restoration projects across the exposed lakebed, along with dust management projects, and an expansion of geothermal projects. Additionally, the Salton Sea Authority is developing a plan that will work within the constraints of limited time, funding, and water to develop long-term solutions for improved public and environmental health. Learn more about the “Sea-to-Sea” plans here. 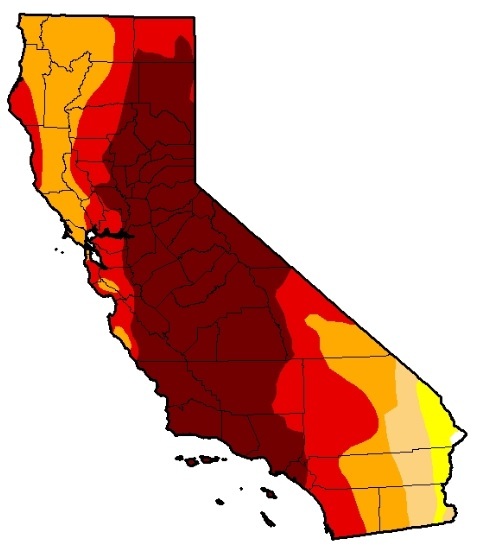 The September drought updates included a summary of the 2015 water year – the hottest and driest year on record, as well as updates on wildfires and groundwater overdraft. October 21st, Peter Gleick will present at the New York Times- second annual Food for Tomorrow Conference. Peter will be speaking about the impacts climate change will continue to have on water supplies and agricultural production. Learn more about the event here. October 22-25th, Heather Cooley will serve as a panelist at the Environmental Law Conference in Yosemite National Park. Find more information about this event and how to register here. In September, Pacific Institute staff gave talks at a variety of public events. For example, Peter Gleick gave a presentation on California’s water supply at the Hammer Museum at UCLA. Watch a recording of the event here. Your contribution today to the Rapid Response Fund will help us take swift action on timely water challenges. Every day we offer free analysis and solutions to people who are changing the way we relate to and use the most critical resource for humans and ecosystems. Your gift will be matched dollar-for-dollar by a generous friend of the Pacific Institute.